Shaft - Soft / Regular TFC149I graphite shafts, for golfers with slower swing speeds. 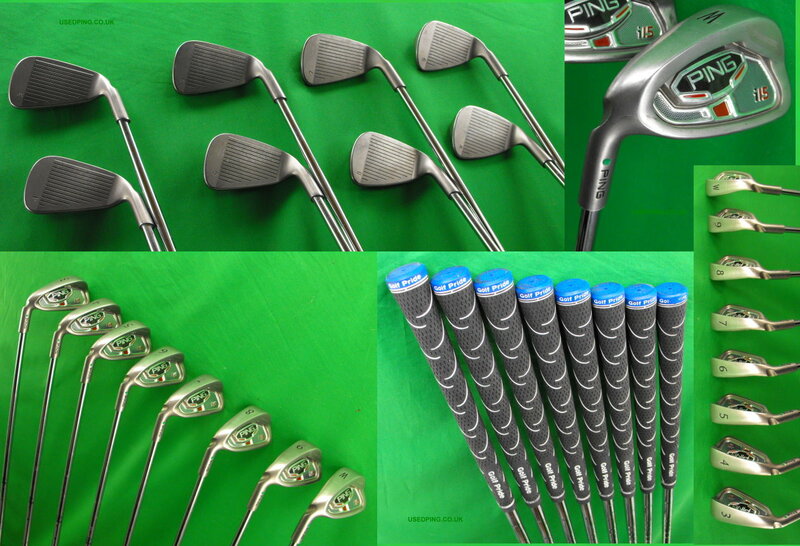 Condition - Very Good / Good, PING's G15 game improvement irons offer maximum forgiveness. 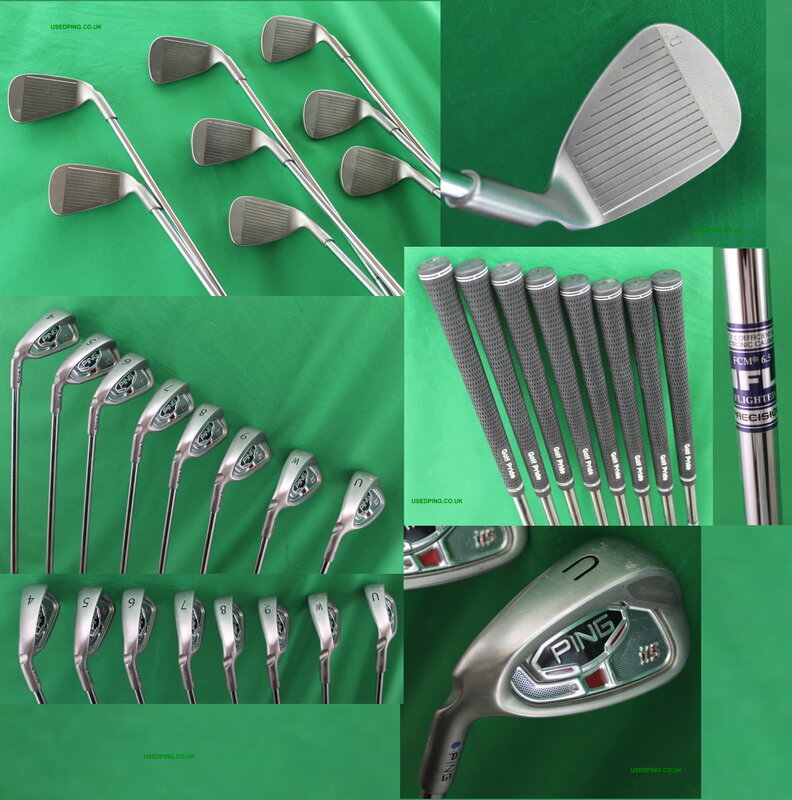 Has a small graze to the 6-Iron leading edge at the toe, normal usage marks to the 9-Iron and 5-Iron faces and light bagwear to the shafts paintwork. Shaft - Regular TFC149I graphite shafts 0.25 inches longer, for golfers with average swing speeds. Condition - Very Good, PING's G15 game improvement irons offer maximum forgiveness. Has minor bagwear to the shafts paintwork. Shaft - Regular flex AWT steel shafts, for golfers with average swing speeds. 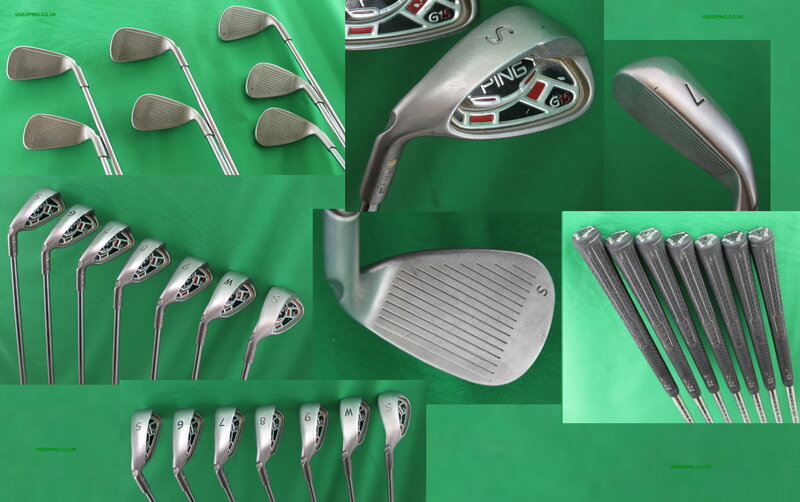 Condition - Very Good / Good, PING's G15 game improvement irons offer maximum forgiveness. The 8-Iron is missing the PING badge / swing weight to the rear of the head. Shaft - Stiff flex AWT steel shafts 0.25 inches longer, for golfers with faster swing speeds. Condition - Good, PING's G15 game improvement irons offer maximum forgiveness. Condition - Good, PING's G15 game improvement irons offer maximum forgiveness. These irons have been kept in good condition. There is a small dint to rear of the 7-iron head and a minor stone mark to the 8-iron sole as shown in the larger photograph. Condition - Good, LEFT HANDED. PING's G15 game improvement irons offer maximum forgiveness. These irons have been kept in good condition. Shaft - Stiff flex AWT steel shafts 1 inch longer, for golfers with faster swing speeds. Condition - Excellent / Very Good, LEFT HANDED. PING's G15 game improvement irons offer maximum forgiveness. 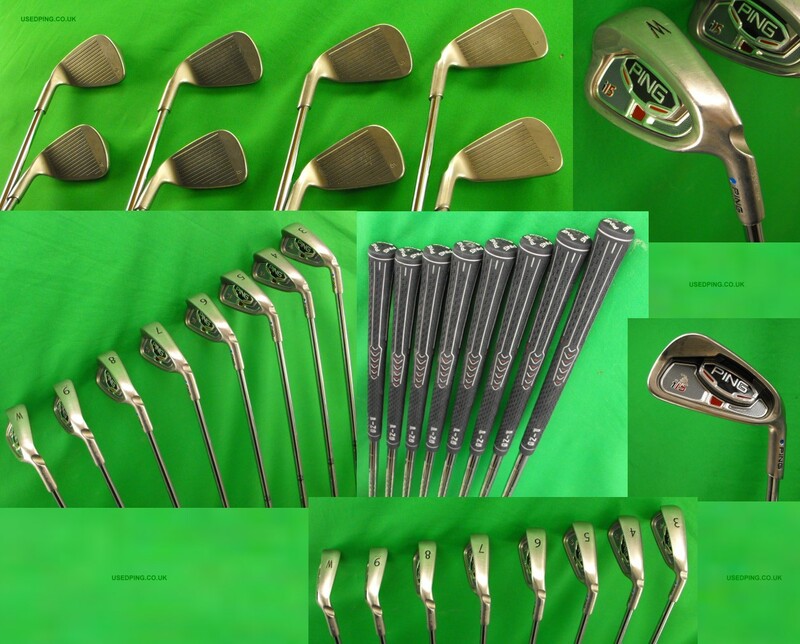 These irons have been kept in excellent to very good condition. Condition - Good, PING's I15 irons offer forgiveness with added playability, aimed towards the mid to low handicap player. The 5-Iron is a G15 iron to provide more forgiveness. Has grazes to the 6-Iron sole. All the serial numbers match. Shaft - Stiff flex AWT steel shafts, for golfers with faster swing speeds. Condition - Very Good, PING's I15 irons offer forgiveness with added playability, aimed towards the mid to low handicap player. 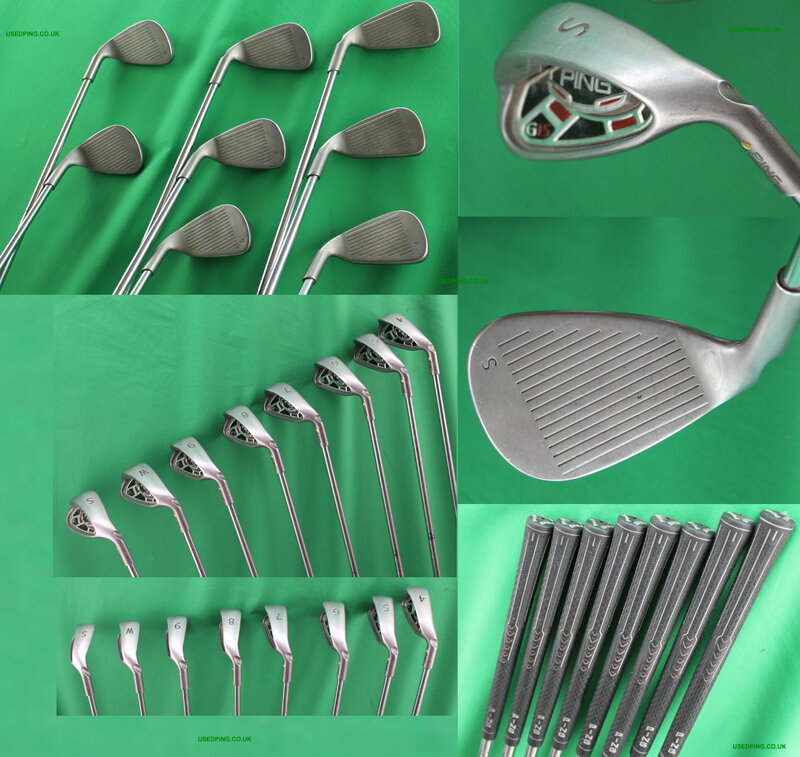 These irons have been kept in very good condition. Condition - Very Good / Good, LEFT HANDED. PING's I15 irons offer forgiveness with added playability, aimed towards the mid to low handicap player. 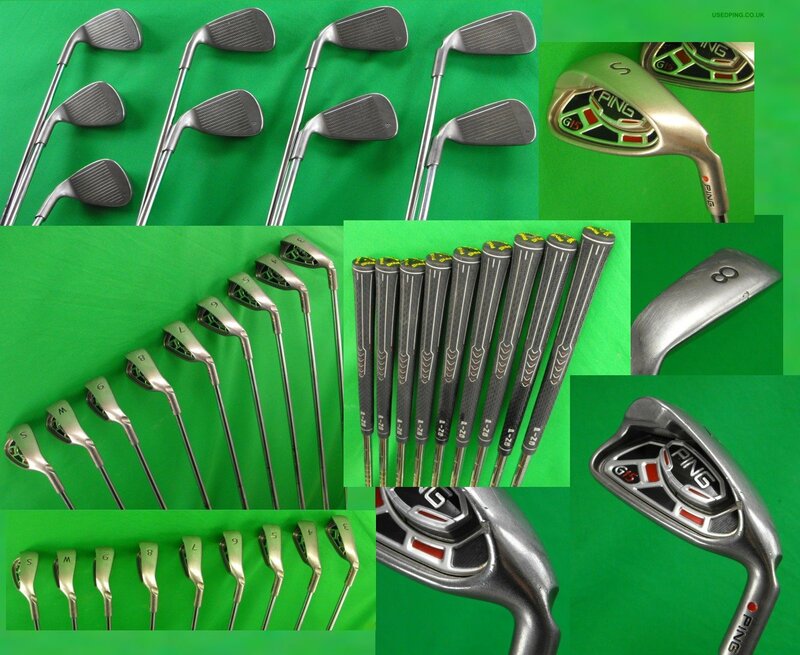 These irons have been kept in very good to good condition. Condition - Very Good / Good, LEFT HANDED. PING's I15 irons offer forgiveness with added playability, aimed towards the mid to low handicap player. 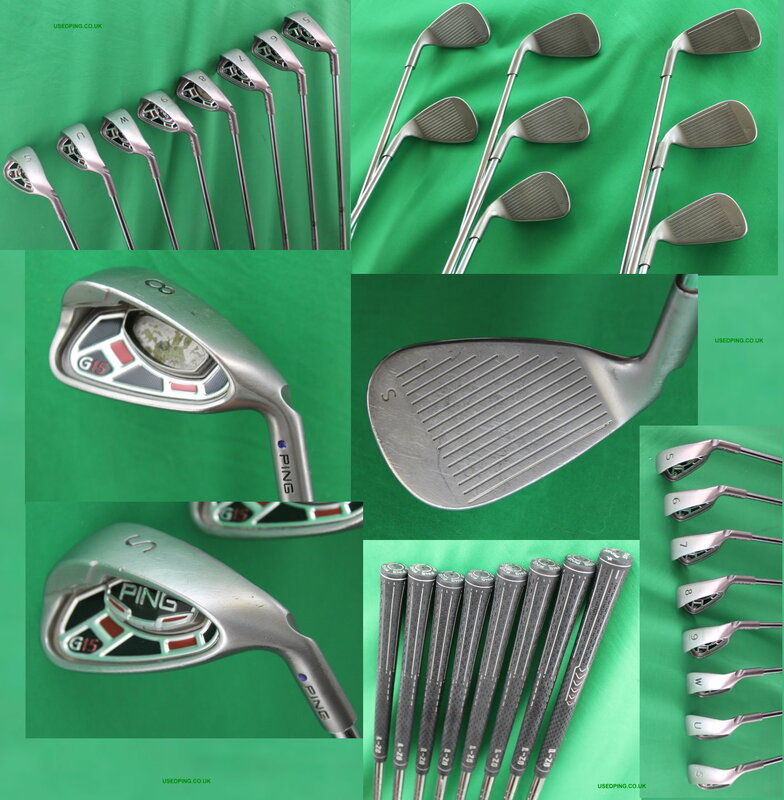 These irons have been kept in very good to good condition. The Utility Wedge has been kept in excellent condition. Shaft - Stiff flex AWT steel shafts 0.5 inches longer, for golfers with faster swing speeds. Condition - Good, LEFT HANDED. PING's I15 irons offer forgiveness with added playability, aimed towards the mid to low handicap player. These irons have been kept in good condition. Has light grazes to the soles and light bag clatter to the rear of the heads / badges. Shaft - Extra Stiff flex FCM 6.5 Rifle precision flighted steel shafts 0.5 inches longer, for golfers with fast and powerful swing speeds. Condition - Very Good, LEFT HANDED. PING's I15 irons offer forgiveness with added playability, aimed towards the mid to low handicap player. 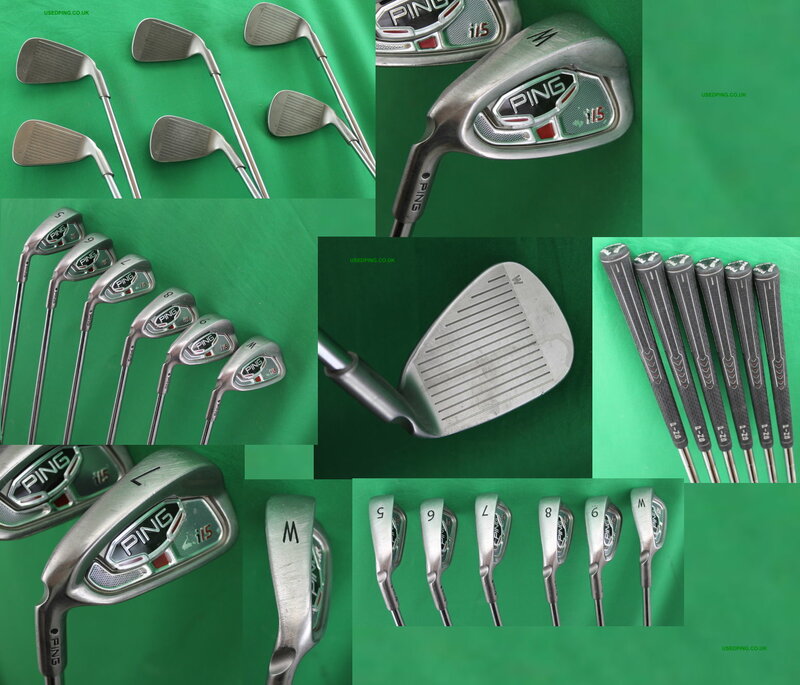 These irons have been kept in very good condition. 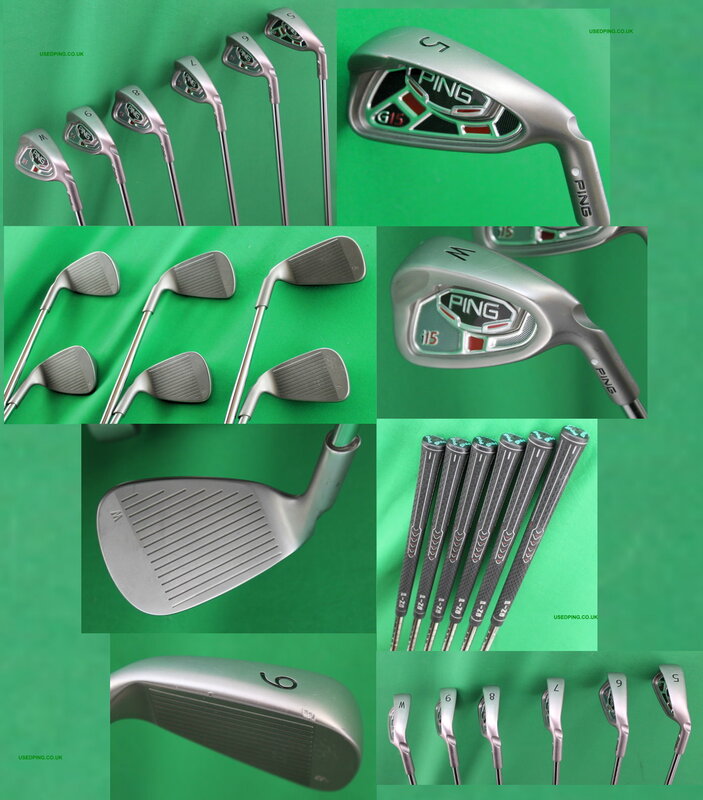 The PING G15 irons released in 2009 provide maximum forgiveness and consistency. Aimed at the improving golfer and designed to provide high trajectories and long distance. The G15 irons have a wide sole and extreme perimeter weighting to provide the forgiveness that improving golfers require. PING G15 irons have weight moved from the face to the toe and stronger lofts to provide more forgiveness for off centre shots. 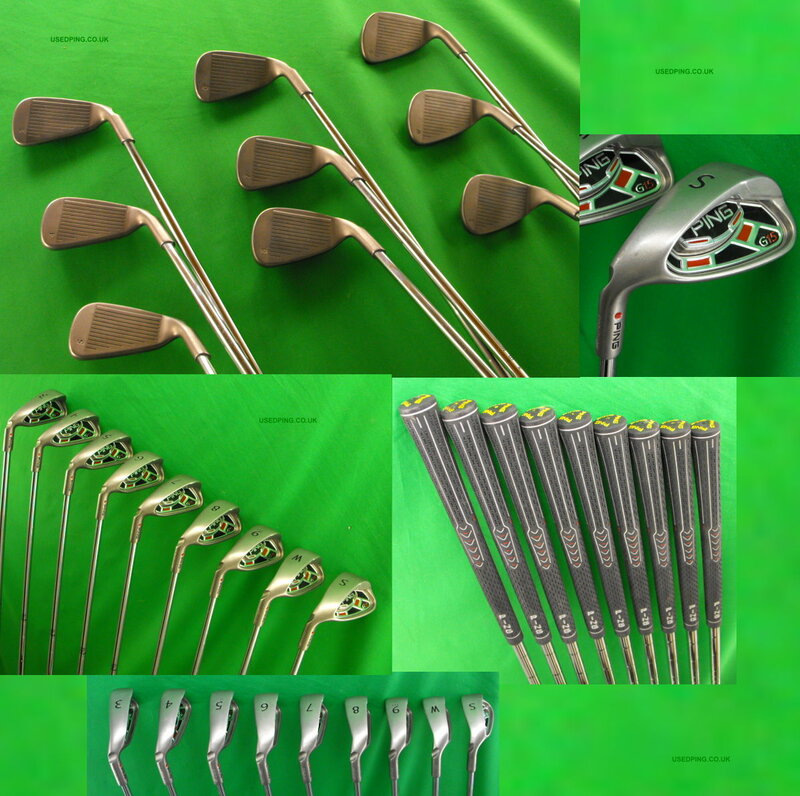 Available from 3 to Sand Wedge plus Lob Wedge and Utility Wedge. The G15 irons as standard come with either AWT steel shafts ,TFC 149i graphite shafts or Z-Z65 steel shafts for players requiring a lower ball trajectory. 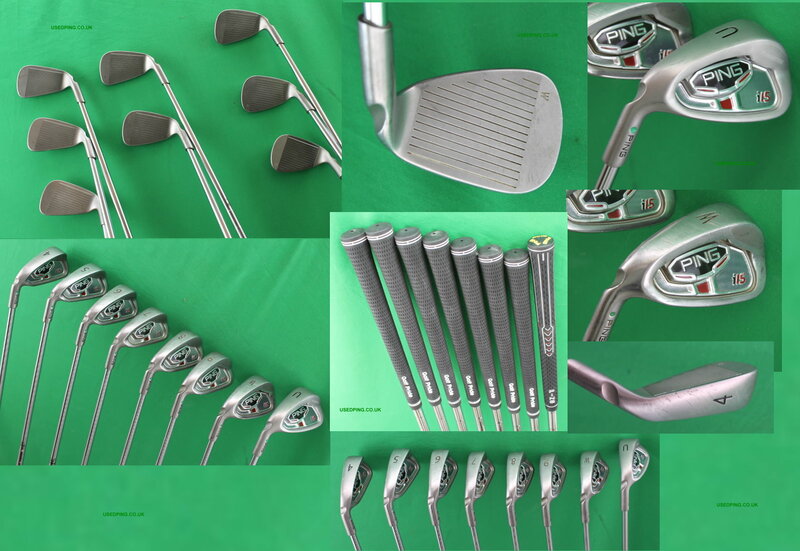 The PING K15 iron/hybrid game improvement irons released in 2010 are designed to improve ball flight and add consistency. The K15 irons have a titanium face and stainless steel body to increase launch and forgiveness. The K15’s have a large toe weight for consistent distance control and a wider sole to promote a high trajectory and prevent digging. The I15 has standard irons from 5 to SW + UW and LW and hybrid clubs from 3 to 6. The hybrids are designed for longer straighter shots. 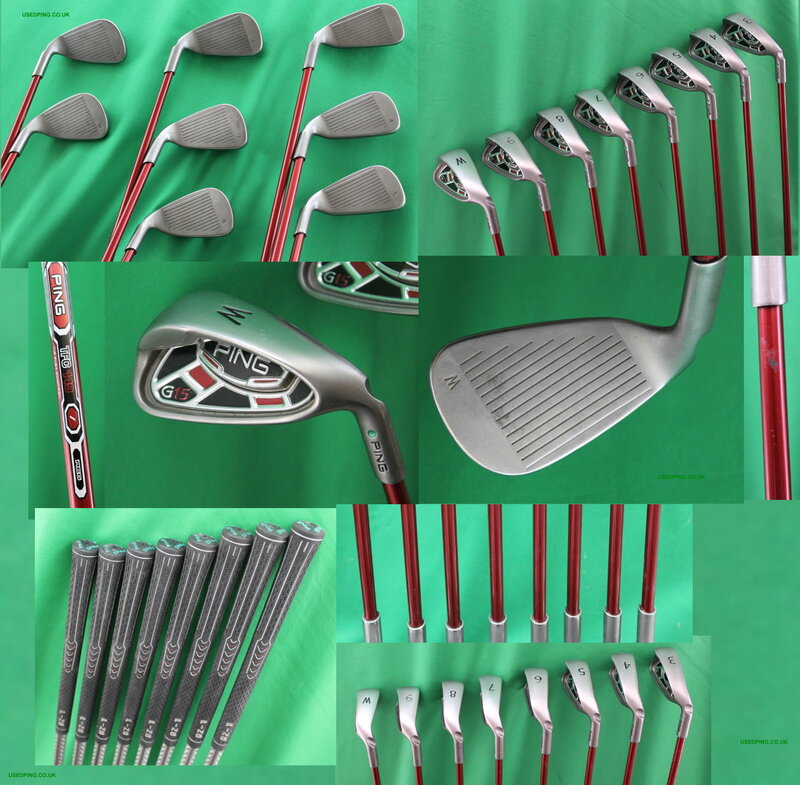 As standard K15’s come with AWT steel shafts or the lighter TFC149 graphite shafts. The PING I15 irons released in 2009 are designed for better, lower handicap golfers who prefer a little more playability than forgiveness. The I15 longer irons offer a greater level of forgiveness with their larger heads when compared to the shorter irons that offer increased playability with their smaller heads. I15 irons have a multi metal design with steel heads and tungsten toe weight. 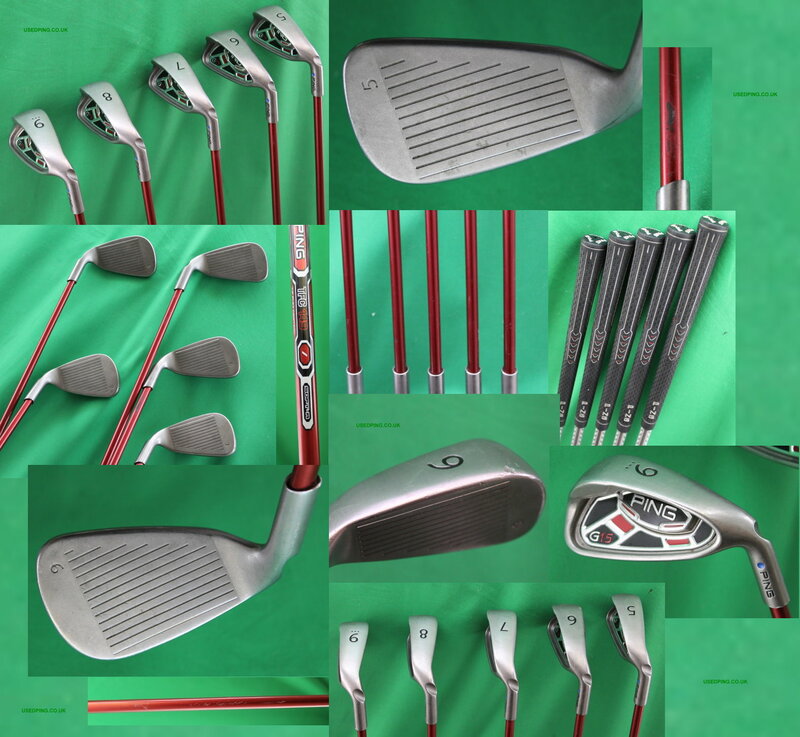 The I15 irons are available in 3-UW, the set does not have Sand Iron. The I15 irons as standard come with either AWT steel shafts ,TFC 149i graphite shafts or Z-Z65 steel shafts for players requiring a lower ball trajectory.